Due to cheerful, juicy colors, the template stirs pleasant associations with holiday, happiness, joy and celebration. The elements are placed over the blurred motley background. Rainbow menu is enhanced by categories links in the left sidebar. 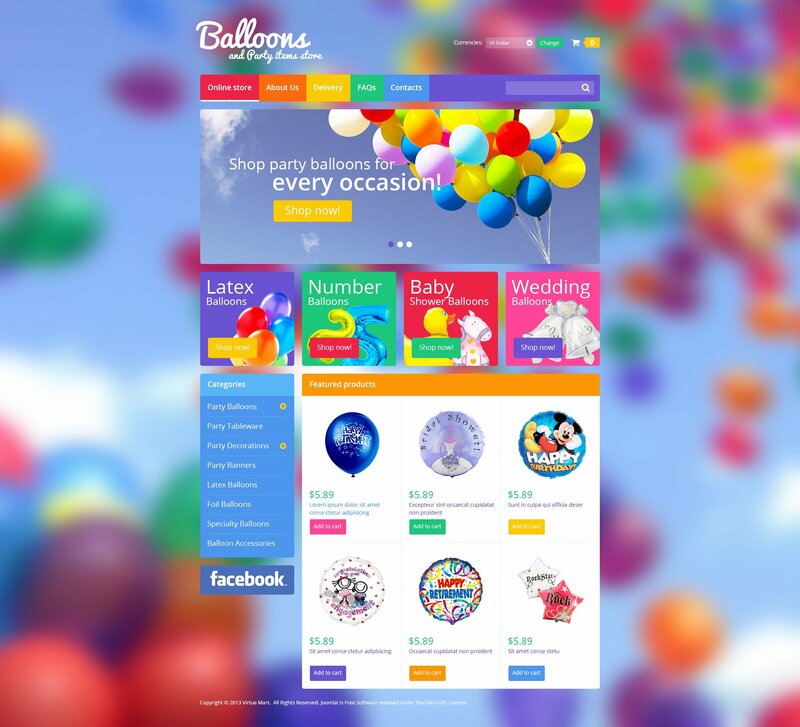 Slider displays multiple balloons. Banners help the visitor sort out their types. Featured products look so unusual that it's simply impossible to leave the store without a purchase.